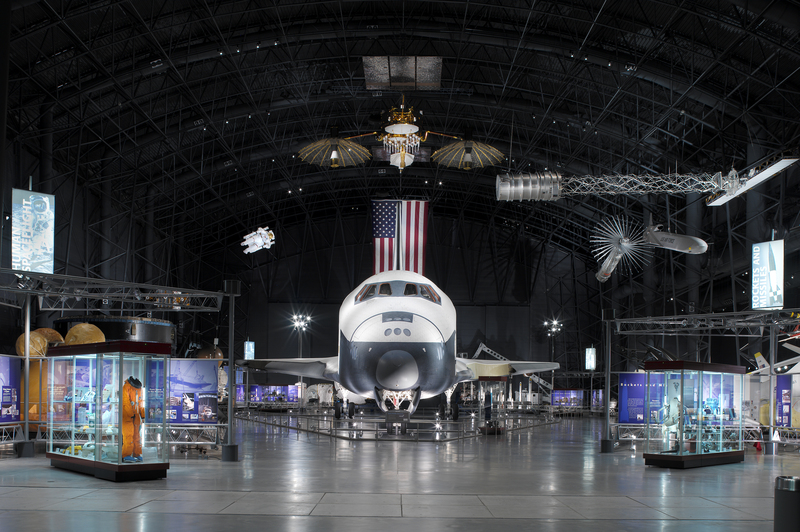 This photo from 2005 shows the view upon entering the James S. McDonnell Space Hangar at the Steven F. Udvar-Hazy Center. Visible objects include the Space Shuttle Enterprise (center), Tracking and Data Relay Satellite (directly above), and Manned Maneuvering Unit or "MMU" (above left). Enterprise was replaced by Space Shuttle Discovery in 2012.